We hope more kids follow Leo and Atticus in making a difference for animals in need! There are so many ways you can help us raise much needed funds for our rescue beagles! Don't hesitate to howl out a message if you'd like some advice! All paws are crossed for YOU! 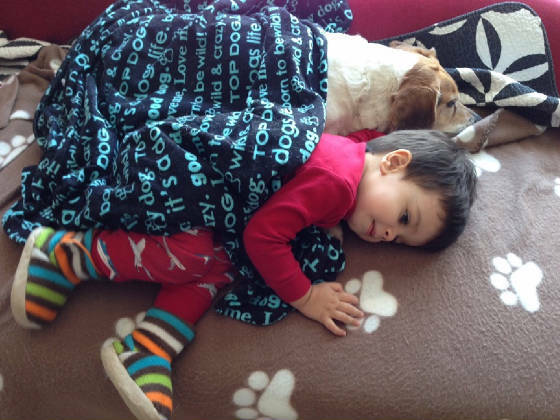 Beagles LOVE kids and so do we!!! Introducing...Our First Ever "Kid of the Month!!!" First Honorary "Kid of the Month!" As I mentioned, Leo just celebrated his 6th birthday. His mom threw him a great birthday party last weekend. But there was something extra special about this birthday party. 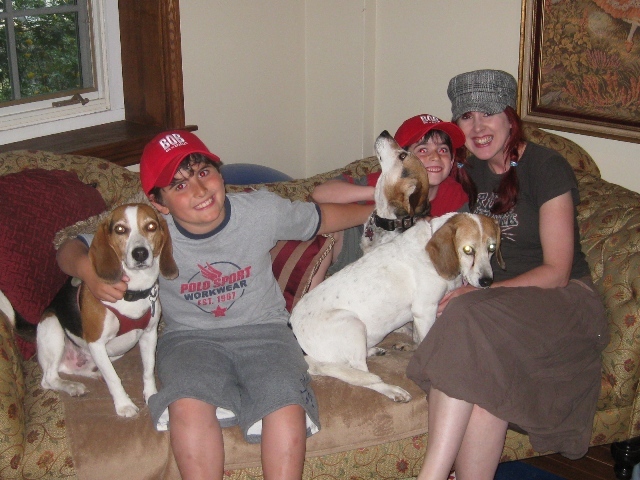 Leo and his family decided to ask Leo's guests to make donations to our rescue beagles in his honour. Of course, Leo scored some gifts too. How could they not want to make those eyes pop with surprise?!! Leo has some very nice friends. I would imagine they learned that from their parents. On Monday evening, Leo and his family came to visit me and my beagles. Leo and his big brother, Ben, had a ball meeting the dogs. By the end of their visit, they were all the best of friends. That tends to happen when there's so much love in a room. I won't ever forget how proud Leo was to hand me his envelope filled with donations. 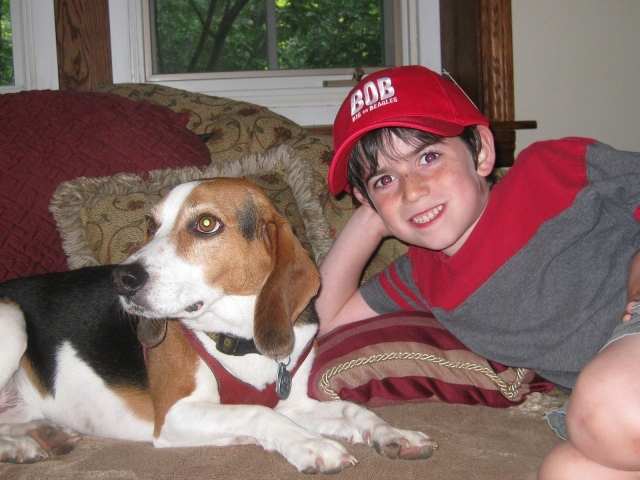 Leo and his wonderful family raised $570 for our beagles! I was ready to cry but like I said, Leo's smile is contagious. Introducing Our 2nd Official "Kid of the Month" for March 2015!!! Atticus recently celebrated his 3rd birthday! Happy Yappy Birthday, Atticus! And do you know how he chose to celebrate? He had a birthday party and asked all his guests to make a donation for the beagles in our care instead of spoiling him with presents. After all, his dad confessed, "our son has an embarrassment of riches in this regard". So they made up a little donation box and crossed their paws! By the end of the party, Atticus had raised a tail-wagging, paw-stomping $300 for our homeless howlers! Atticus, we can't wait to meet you in person and thank you for this very special gift in honour of your birthday! Your gift will go a long way to helping a down-on-his-luck beagle become a happy-go-lucky beagle in the time it takes to wag his tail!! !